Speculator aims to target stocks that tend to fly under the radar, perhaps due to the fact that they don’t suit the risk-averse investor, or simply because they are small, emerging, potentially next big thing stories where the market moving news is yet to break. Finfeed will be looking to uncover such stocks on a weekly basis. This week Speculator examines a stock which in a sense isn’t speculative in terms of its underlying business, but the company recently disappointed the market with its fiscal 2018 result, triggering a downturn in its share price. Following events such as this it can take some time to restore investor confidence, but while the company’s share price is suppressed, this can present a buying opportunity. A decision to invest though requires the investigation of a number of factors. This involves gaining an understanding of why the company underperformed, whether it was a one-off event, the changes that need to be made to rectify detrimental issues, and ideally some near-term clarity/predictability around revenue and earnings. With regard to this week’s stock, all of these factors can be identified, and with the 12 month consensus price target of 42 cents implying upside of 55% relative to its current share price of 27 cents this could be one for investors who look for value in oversold stocks. Of course any investment is speculative and those considering the following stock should seek professional financial advice if considering this stock for their portfolio. 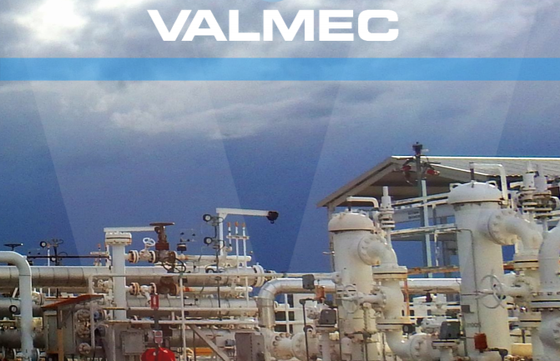 The company is Valmec (ASX:VMX) a provider of specialised equipment, construction, maintenance, commissioning and asset integrity and testing services to the oil and gas, energy and infrastructure sectors. Another interesting facet in relation to Valmec is that the fiscal 2018 result represented a strong performance by most measures and indicated that operationally the company is in a healthy position. The diversified nature of Valmec’s product offering is a definite advantage from a number of perspectives. Obviously, the ability to generate income from multiple sources assists in driving revenue growth. However, it also makes the business attractive to clients who are looking for a provider of end to end solutions rather than dealing with a number of entities. The other advantage is that it assists in insulating the company from events that are out of its control such as decreased activity due to industry conditions. For example, when the oil price slumped in 2008 and 2014, this triggered a period of underinvestment, particularly in exploration projects. Valmec’s business model provides substantial cushioning against impacts such as this with its diversification of services, high percentage of recurring income and exposure to other industry sectors being crucial in terms of maintaining stable and predictable revenues. With regard to its industry diversification this was demonstrated on Wednesday when the company informed the market that it had been awarded a two-year contract with Sydney Water for major equipment maintenance and overhaul of its renewable energy co-generation plant assets. Another contract award that was announced during the week was for metering and pigging inspection works for Australian Gas Infrastructure Group across its Western Australian gas networks. Being awarded work by such a high profile client is an endorsement of Valmec’s industry standing, but it is also worth noting the nature of the works. Metering, sampling and pigging are carried out at oil and gas production facilities to monitor the quality and quantity of oil and gas produced. For the best part this is essential infrastructure services work rather than a one-off contract to drill a well for example. Consequently, services such as these will always be required regardless of oil and gas prices or volatility within the energy sector. 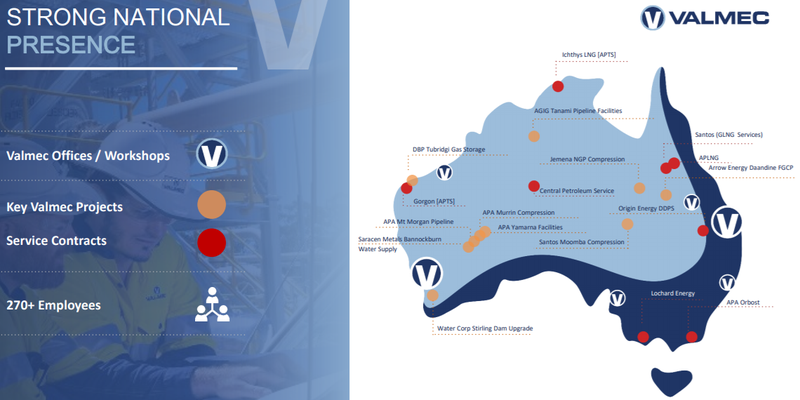 This is a snapshot of Valmec’s project involvement which underlines both the high profile nature of its clients and its broad coverage throughout Australia. In February 2018, Valmec finalised the acquisition of the operations of APTS Pty Ltd introducing 55 new employees, over $5 million of long term service contracts, as well as new pipeline and structural testing capabilities. APTS was established in 2003 and has offices and laboratory testing facilities in Perth and Brisbane with contract operations also in Karratha and Darwin. 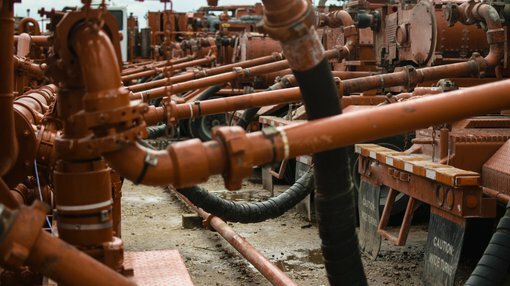 The group is a market leader in the pressure testing and calibration industry having been involved in every major oil and gas project in Australia over the last 10 years. APTS has a strong track record of delivery with an established top tier client base within the oil, gas, power and water sectors. The group’s clients include gas producers and shippers such as Chevron, Woodside, Shell, Origin Energy, and APA Group. On acquisition, APTS was generating annual revenues of approximately $20 million, and management anticipated that it would generate EBITDA returns of approximately 10% after realising synergies with the established Valmec business. With the business now successfully integrated, APTS enters fiscal 2019 with new technology and accreditations and an improved tender pipeline. 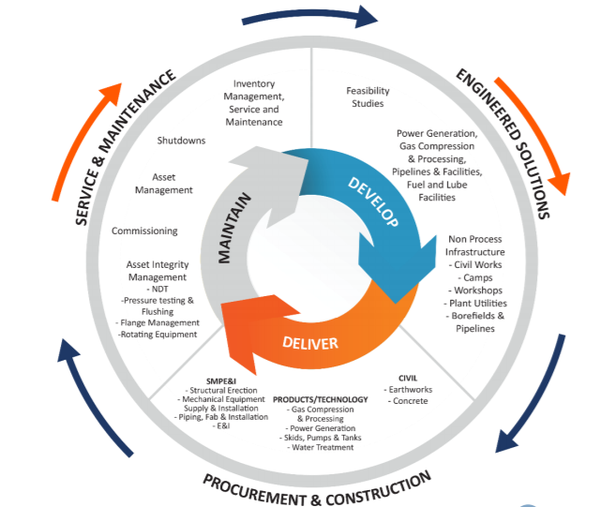 APTS will now focus on growth by leveraging its existing service capabilities to secure longer term operation and shutdown opportunities through new asset integrity and inspection services. Inspection, repair and maintenance activities, including accreditation that verifies equipment is in keeping with regulatory guidelines, are an excellent source of income. As well as being an area of essential spending, many of these activities are structured to be carried out on a regular basis in order to maintain efficiencies and ensure safety requirements are adhered to. This being the case, contracts tend to be of a longer term nature, providing earnings predictability. Valmec provided earnings guidance on August 10 before releasing its result on August 28. The company’s shares began to slide immediately management provided guidance, falling from 36 cents to a low of 26.5 cents on the day the result was released. The pronounced decline on the day the result was announced was difficult to fathom given that revenue and underlying earnings were in line with guidance. More importantly though the overall negative reaction to the company’s fiscal 2018 performance appears unjustified. The following metrics aren’t indicative of a company in trouble. EBITDA of $7.5 million was below analyst’s earlier expectations. However, this included a one-off cost provision relating to a civil project over which Valmec has taken construction group John Holland to court. This was mainly in relation to unpaid amounts by John Holland in relation to the Northlink contract. 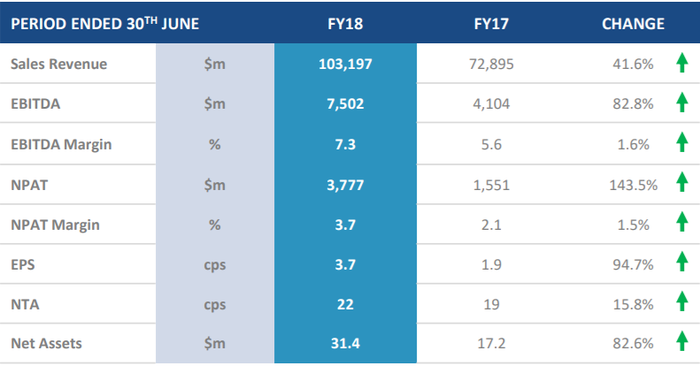 The court proceedings assume a value of approximately $11.6 million, indicating that a successful outcome would provide a significant boost to the group’s cash flow 2019. The company has minimal debt which is largely offset by its cash position of $2.7 million. With positive operating cash flow expected in fiscal 2019 the company’s balance sheet appears sound. This throws up options such as further acquisitions, as well as providing the capacity to bid for large-scale projects. Management expects to substantially grow services revenues in fiscal 2019, and recent contracts indicate that it is on track to achieve this goal. Given this is a high margin area of the company’s business it should also drive group margins higher resulting in a quality fiscal 2019 performance. This should also assist in boosting the percentage of recurring revenues, providing earnings predictability. Looking at the company’s comparative position, its current order book stands at $70 million, representing about 70% of fiscal 2017 full-year income. Given the group has a tender pipeline of $400 million one would expect reasonable revenue growth in fiscal 2019. Ian Christie from Argonaut is forecasting revenue growth of 16% in fiscal 2019 which would equate to full year revenue of $120 million. This appears reasonable given that revenue from contract wins are often realised across a number of fiscal periods. Christie is forecasting earnings per share of 4 cents in fiscal 2019, implying a price-earnings (PE) multiple of just under 7 relative to Thursday’s closing price of 27 cents. This represents a significant discount to the sector average of 16.3. More importantly though it appears conservative relative to the earnings per share growth forecasts projected by Christie. His earnings per share forecasts for fiscal 2019 and fiscal 2020 imply earnings per share growth of about 50% and 25% respectively. As previously mentioned, the consensus price target is 42 cents, implying a PE multiple of 10 which is more representative of the company’s performance and future prospects. It would appear that Valmec ticks all of the boxes we mentioned.